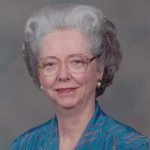 JoAnn Randle Massey, 88, of Granbury, passed away on Monday, January 28, 2019. Visitation: 2:00 PM -4:00 PM, Thursday, January 31, 2019, Wiley Funeral Home Chapel, Granbury. In lieu of flowers, please make donations to Joann’s favorite charity to Tamassee DAR School, P.O. Box 8, Tamassee, South Carolina 29686 (School for Children in Crisis). JoAnn was born on January 15, 1931 in Granbury, Texas to Keith and Minnie Randle. She married Samuel “Sam” Stetson Massey, Jr. on June 26, 1955. The love of her life was her two children. Her favorite place in the world was her home in Marble, Colorado. She was a great business woman and an even better rancher. She enjoyed elk hunting and was an amazing cook. She was a member of the National Society of the Daughters of the American Revolution, The National Society Colonial Dames XVII Century and the United Daughters of the Confederacy. She is preceded in death by her son: Alan Dale Massey and sisters: Mary Kate Durham and Peggy Mayes. She is survived by her husband: Samuel “Sam” Stetson Massey, Jr., son: Steven Massey and wife Koree, daughter-in-law: Mayra Massey, niece: Kay Lee, grandchildren: Dustin Lee Massey, Amanda Jo Shaw and husband Rowdy, Lauren M. Massey, Cindy Kay Massey, and Emily Kate Massey, and great-grandchild: Lucy Jo Shaw. My heart goes out to Joann's family. I had the pleasure of knowing Joann the past year. She was a beautiful person with a wonderful sense of humor. I am truly going to miss her.Love to all the family.